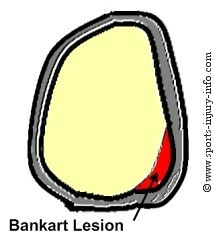 What is a Bankart Lesion? A Bankart lesion is a specific type of shoulder labral tear. It is extremely common with shoulder dislocations, and often contributes to shoulder instability. You may be able to be treated conservatively, but more often it requires surgical intervention for a full recovery. Read on to find out more about this type of labral tear, causes, and treatment options. By far the most common cause of a Bankart lesion is an anterior shoulder dislocation. Most shoulder dislocations occur when the humerus moves too far anteriorly (forward) and inferiorly (down). The humeral head displaces out of the shoulder socket, causing tearing of the joint capsule and the labrum. The most common way to dislocate your shoulder is forceful external rotation when your arm is raised at shoulder level or higher. Excessive force applied in this position places a great deal of stress on your shoulder capsule and labrum, often resulting in tearing of the tissues. Over 95% of all shoulder dislocations have an accompanying Bankart tear. The most common symptom of a bankart tear is pain. Following a shoulder dislocation, moderate to severe pain is felt, especially within the first several days after injury. Popping or feelings of instability are another common problem associated with Bankart tears. Your shoulder labrum acts as a bumper for the shoulder socket, helping to keep your humerus in place. If this bumper is displaced, it allows your humerus to move too far forward and down within the joint, causing feelings of instability. The torn portions of the labrum may also become caught within the joint, causing popping or feelings of the shoulder locking up. Weakness of the muscles and loss of range of motion are also common symptoms associated with bankart lesions. 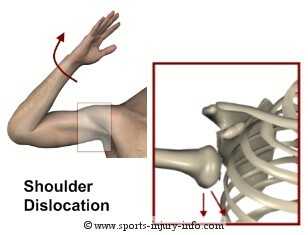 Initial treatment for a shoulder dislocation is centered around the R.I.C.E. 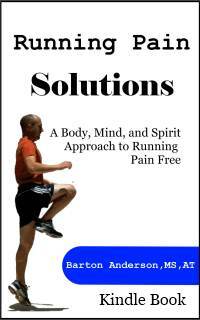 principles, as well as immobilization of the shoulder to allow the tissues to heal. Labral tears are considered a secondary problem with shoulder dislocations. If you have a dislocation, you will most likely have to have the shoulder reduced or put back into place by a physician. 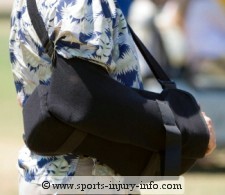 You will be given a sling to wear, and may be referred for an MRI. MRI of the shoulder will often show damage to the joint capsule, but it may not pick up on a labral tear. That is why many surgeons order an MRI Arthrogram. This procedure involves injection of a dye into the shoulder joint and then an MRI to see if any of the dye escapes from the shoulder capsule. If you have a labral tear, the area that is torn will allow the dye to move out of the shoulder joint. Although MRI Arthrograms are much better to find labral tears than a regularr MRI, there is still a good chance that you may have a negative MRI but still have a tear. After a shoulder dislocation, conservative shoulder rehabilitation that focuses on restoring your range of motion, strength, and shoulder function is a good idea. The goal is to try to avoid surgery if possible. Depending on the severity of your injury, you may be able to avoid surgery with proper rest and rehab. However, if you have a Bankart lesion or other labral tear, you may have instability and require labral repair surgery. Make sure that you follow your physicians instructions after your injury and go through rehabilitation to restore your shoulder back to normal. A Bankart lesion is a type of labral tear that occurs in the inferior and anterior portion of the glenoid labrum. It is very common with shoulder dislocations. An MRI Arthrogram is the best way to determine if you have a bankart tear. Rest and rehabilitation are the keys to recovery, however many times this injury requires surgical intervention to return your shoulder to normal.